The Michael Trimm Show depends on subscribers like you to help keep the show running. It's an independent news channel that seeks to provide real news and a critical analysis approach, which is relatively unique in the industry due to advertiser limitations. 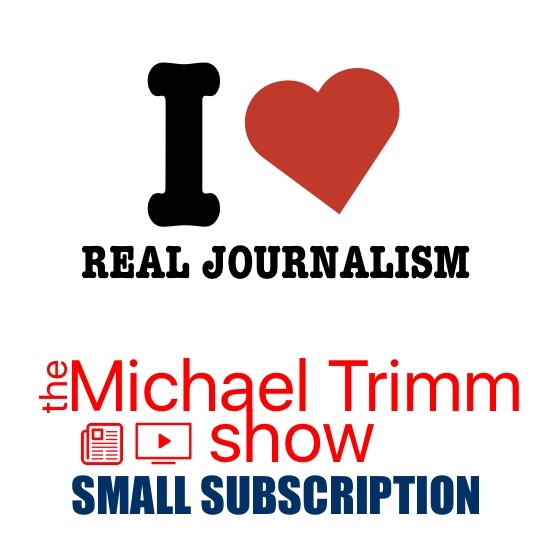 The Michael Trimm Show truly wants to be independent from big special interest money, and therefore is offering three levels of paid subscriptions to help keep the show running and alive. Your monthly contribution will directly compete with YouTube monetization and gain leverage and priority to real and progressive news. No longer will the Michael Trimm Show need to make a tough call between covering a Clinton Foundation related story and face retaliation from Google and their special interests. Michael doesn't want the Michael Trimm Show to end up like The Young Turks... sell-outs.